Oschersleben. Das Penz13.com Franks Autowelt Racing Team hat am heutigen Donnerstag (15. August) einen gelungenen Start in die German Speedweek hingelegt. In den heutigen Qualifikationssitzungen überzeugten Jason Pridmore (USA), Steve Mercer (GBR) und Pedro Vallcaneras (ESP) mit konstant schnellen Rundenzeiten und sicherten sich den provisorischen zehnten Startplatz. In der Klassen-Wertung der Superstock belegte das BMW S 1000 RR Trio den fünften Rang – 0,398 Sekunden hinter der schnellsten STK-Mannschaft vom Junior Team LMS Suzuki. Schnellster der Truppe wurde Pridmore mit einer Fabelzeit von 1:28,666 Minuten. Der US-Amerikaner hatte am Vormittag im freien Training einen heftigen Abflug wegzustecken: Beim Überholen eines langsameren Konkurrenten außen herum touchierte er den anderen Fahrer. Dabei klappte der Bremshebel nach oben. Dies bemerkte Pridmore nicht und in der Anfahrt zur Hasseröder-Kurve griff er ins Leere. Geistesgegenwärtig entschied sich Pridmore, von seiner BMW S 1000 RR abzuspringen – um im Sprung die Ursache des hochgeklappten Bremshebels zu bemerken. Aber da war es schon zu spät. Pridmore kam mit ein paar Hautabschürfungen und Prellungen davon. Steve Mercer legte in seinem Qualifying-Durchgang eine ausgezeichnete Steigerung hin und durchbrach ebenfalls die Schallmauer von 1:29 Minuten. Der Engländer kam auf eine persönliche Bestmarke von 1:28,818 Minuten, fuhr konstante 29er-Zeiten. Teamkollege Pedro Vallcaneras kam auf 1:29,584 Minuten und zeigte sich damit nicht zufrieden. Bereits im freien Training vom Vormittag war der Spanier schneller unterwegs gewesen. Am morgigen Freitag haben alle drei Piloten des Penz13.com Franks Autowelt Racing Team die Chance, sich noch einmal zu steigern. Im Durchschnitt aller drei Rundenzeiten kam das Team von Ex-Racer Rico Penzkofer auf eine Qualifying-Zeit von 1:29,022 Minuten. 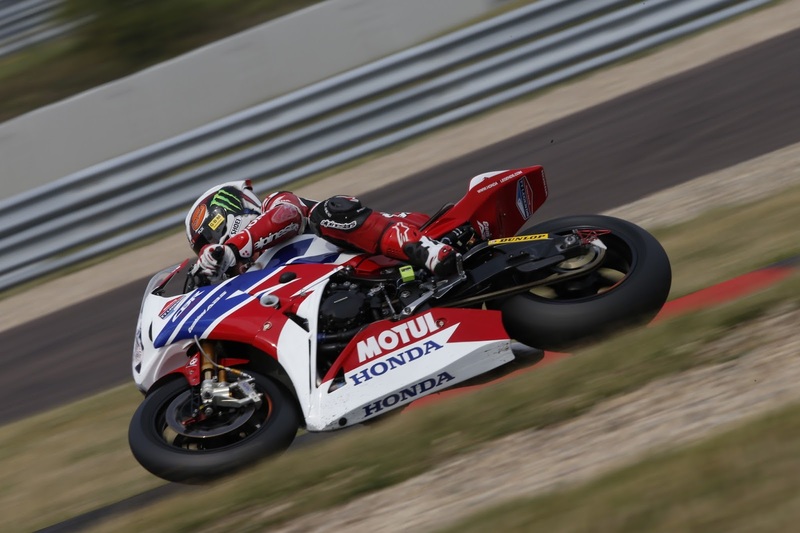 The penultimate race of the 2013 Endurance World Championship got underway in Germany today with the Honda TT Legends in provisional 11th on the grid for the 8 Hours of Oschersleben on Saturday. The first qualifying sessions took place in warm and dry conditions this afternoon with Michael Rutter, Simon Andrews and John McGuinness heading out on the 3.6km circuit for 20 minutes each. All three riders improved on their performance in free practice this morning, shaving a second of their lap times. Rutter set the team’s fastest lap of 1.29’039, while Andrews and McGuinness were not far behind with 1.29’204 and 1.29’429 respectively. The combined average of the three times places the Honda TT Legends in provisional 11th ahead of tomorrow’s final qualifying. The 8 Hours of Oschersleben will begin at 13.00 CET on Saturday 17 August. Meanwhile, today’s Dundrod 150 races at the Ulster Grand Prix were cancelled due to heavy rain. Honda TT Legends’ Michael Dunlop had qualified on pole in the Superbike class. The remainder of the races are due to run on Saturday. At this stage we’re 11th out of 40 teams but I would like to see all three riders go a little bit quicker. We’re capable of moving up to around eighth if we have a good session tomorrow. As usual, come the race, starting position is less important and we’ll be aiming for consistency and good fuel strategy etc. to give us a good result at the end of the day. It’s gone pretty well today considering this is my first time at the track. It’s a tight and twisty circuit so while it’s not too difficult to learn, it takes time to build up speed. We’ve made good progress today and I was quickest of the three riders so I’m happy with that. Hopefully tomorrow we can go a bit faster and climb up the timesheet to get a good start in the race. It’s been a busy day and we’re stiIl working on set up, but the bike is getting better each time we go out. Qualifying went ok and I had good splits overall, although I got held up in a bit of traffic. We used the qualifying tyre, which takes a bit of getting used to but I used it well and I think there is more to come. I’m confident that we can take another chink of the time tomorrow. For my first time here, it’s not too bad. We’ve had a productive day today and between practice and qualifying we managed to shave a good amount of time off our pace. We’re all within a few tenths of each other again which we know if a good place to be when it comes to endurance racing where consistency is key. We’ve got a few changes to make to the bike before the second session tomorrow so if it all goes to plan we should be able to gain a few spots. 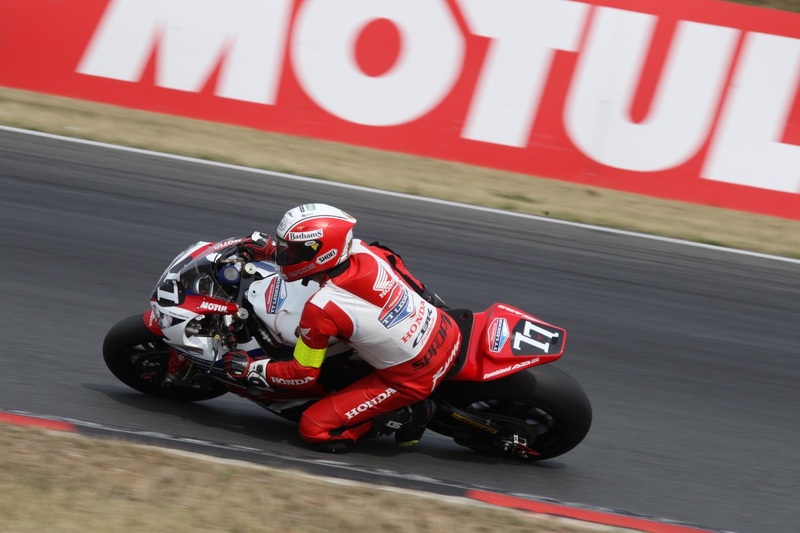 Suzuki Endurance Racing Team riders Vincent Philippe, Anthony Delhalle and Julien Da Costa put their GSX-R1000 into a provisional Pole position after the first day of free practice and qualifying for Saturday’s Oschersleben 8-Hour World Endurance third round in Germany. The defending World Champions and 2012 Oschersleben race winners topped the morning’s fastest practice times from Monster Energy YART’s Broc Parkes, Josh Waters and Igor Jerman with a combined time of 1:26.903 around the 3,667m circuit; Philippe setting the second-fastest lap of the session at 1:26.571; just behind Parkes’ 1:26.147. Third on the timesheets was Yamaha France GMT94 ahead of BMW Motorrad France and Kawasaki’s Bolliger Team Switzerland, as top Superstock team, Junior Team LMS posted the sixth-fastest lap-time with 1:28.624 aboard its GSX-R1000. 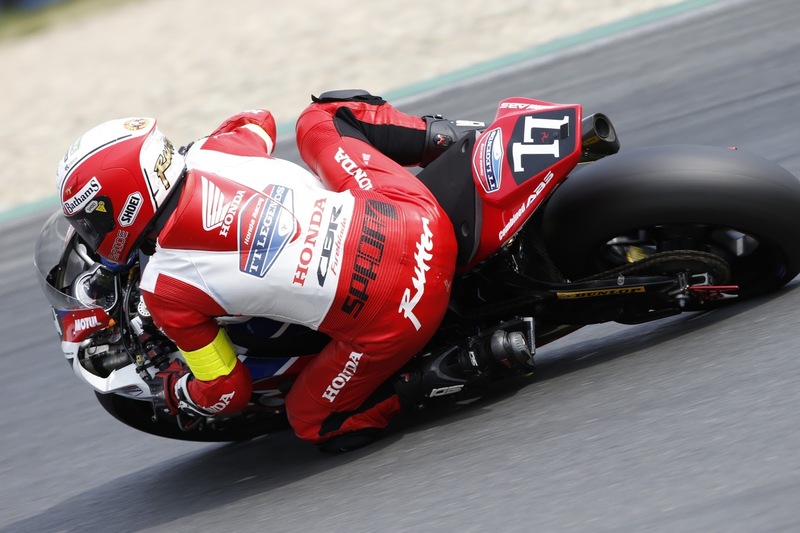 Oschersleben 8-Hour 1st Qualifying Results: 1 SERT – Philippe/Dehalle/Da Costa (Suzuki GSX-R1000) – 1:26.903, 2 Monster Energy YART – Parkes/Waters/Jerman (Yamaha) – 1:27.168, 3 Yamaha France GMT94 – Checa/Foray/ Berger (Yamaha) – 1:27.985, 4 BMW Motorrad France – Gimbert/Nigon/Cudlin (BMW) – 1:28.072, 5 Bolliger Team Switzerland – Saiger/Stamm/ Sutter (Kawasaki) – 1:28.410, 6 Junior Team LMS Suzuki – Guittet/Masson/Black (Suzuki GSX-R1000) – 1:28.624, 7 Team Louit Moto 33 – Marino/Savadori/Jonchiere (Kawasaki) – 1:28.653, 8 DGSPORT HEROCK – van Keymeulen/Schouten/Mahias (Yamaha) – 1:28.720, 9 AM Moto Racing Competition – Loiseau/Maitre/Hardt (Suzuki GSX-R1000) – 1:28.793, 10 Penz13.com Franks Autowelt – Pridmore/Vallcaneras/Mercer (BMW) – 1:29.022. 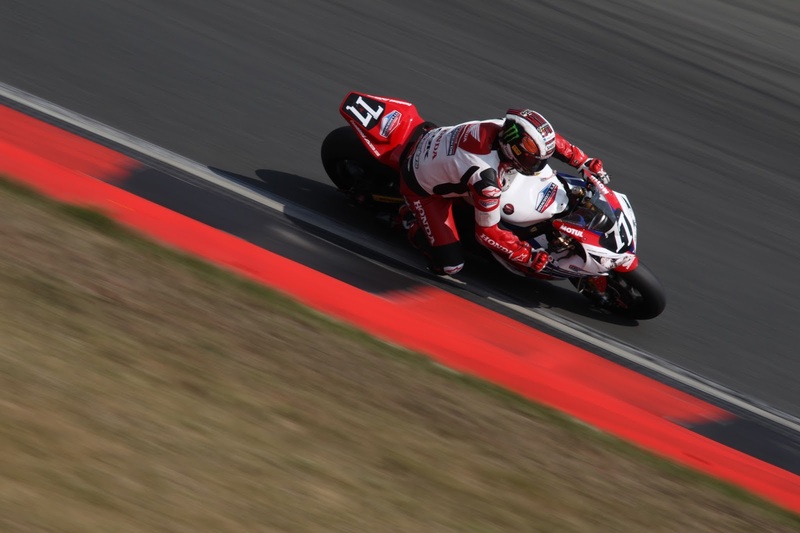 Oschersleben 8-Hour 1st Practice Results: 1 Monster Energy YART (Yamaha) 1:27.013, 2 SERT (Suzuki GSX-R1000) 1:27.372, 3 Yamaha France GMT 94 (Yamaha) 1:27.537, 4 BMW Motorrad France (BMW) 1:27.771, 5 Bolliger Team Switzerland (Kawasaki) 1:28.660, 6 Team Louit Moto 33 (Kawasaki) 1:28.867, 7 Team R2CL (Suzuki GSX-R1000) 1:29.008, 8 Penz13.com Franks Autowelt (BMW) 1:29.047 9 AM Moto Racing Competition (Suzuki GSX-R1000) 1:29.231, 10 Team 18 Sapeurs-Pompiers (Kawasaki) 1:29.328.